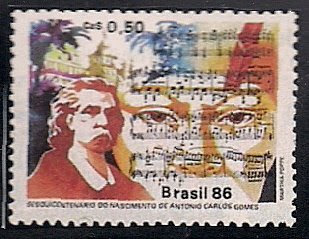 A Romantic grand opera by Calos Gomes, a Brazilian composer. It is a large scale opera-ballet in four acts. It is known for its fast paced, high-energy music which is said to quote songs of the Guarani tribe of Brzilian Indians, for whom the opera is named. It is the first written by a composer of the Americans to become a major success in Europe.